YouTube commenter Li Zeng has been convinced the video is fake. “It’s a cell phone device camera, so it’s pan focused and can’t focus on particular object,” they wrote. 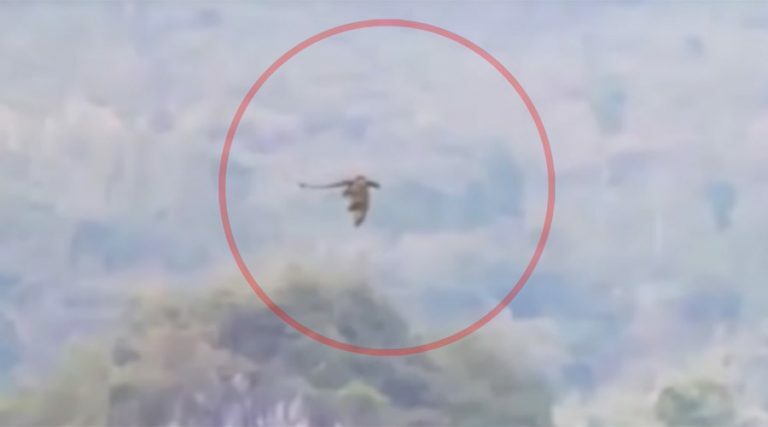 Another user, who believes the footage forms part of a conspiracy theory, speculated if the dragon was in fact a drone.“I’ve read some articles about how scientists and engineers have combined knowledge and discovered the natural movement and aerodynamics of a bird so perhaps they have tried to replicate it on a machine,”s6ef4enko wrote.